Heirloom Book Company, downtown Charleston. If you are looking for me, I am currently going through 1009 shots taken this past weekend for One Kings Lane. The online site will have a Tag Sale for Heirloom Book Company which is putting up for sale 250 vintage cookbooks, on February 26th. I have been private to some pretty awesome collections and first editions. Save the date, you won't want to miss it! Regular posting will resume shortly! Can't wait...both for your pictures and for the sale! I am sure there will be very cool books. I am dying to visit Heirloom. My company hosted a southern cooking demo there this summer and I just fell in love with the pictures. The Literature of Food - what's not to love? Looking forward to checking out One Kings Lane. What an awesome event!!! I LOVE books!!!!!!! and first editions!! I am envious! are they doing something online too? Oh, I lovelovelove Heirloom Books! Hope your eyes aren't too blurry after all that editing! 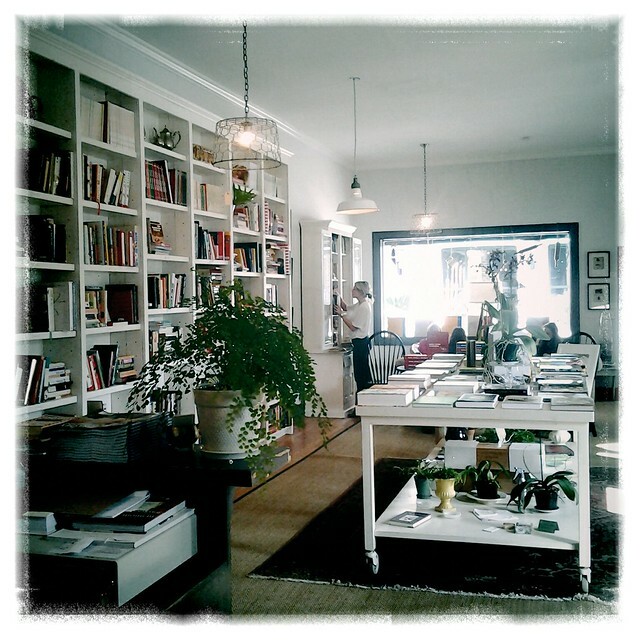 I had not heard of the Heirloom Book Company - what a great thing. I am excited to share with friends. Good luck sorting photos! Fabulous -- that sounds like a wonderful creative collaboration. I'm looking forward to seeing the photos! Asha: it is an online sale. One Kings Lane does not have a store front, it is an online selling site. That is something that could really hurt my budget, but you only live once! I love One Kings Lane...I am putting the date on my calendar and I will have to sequester some funds for it. Can't wait. Love all you do you busy lady!! !